EMS professionals from IAEP Local R1-095 in Worcester, Massachusetts, held a softball tournament on May 15, 2016, in recognition of National EMS week. 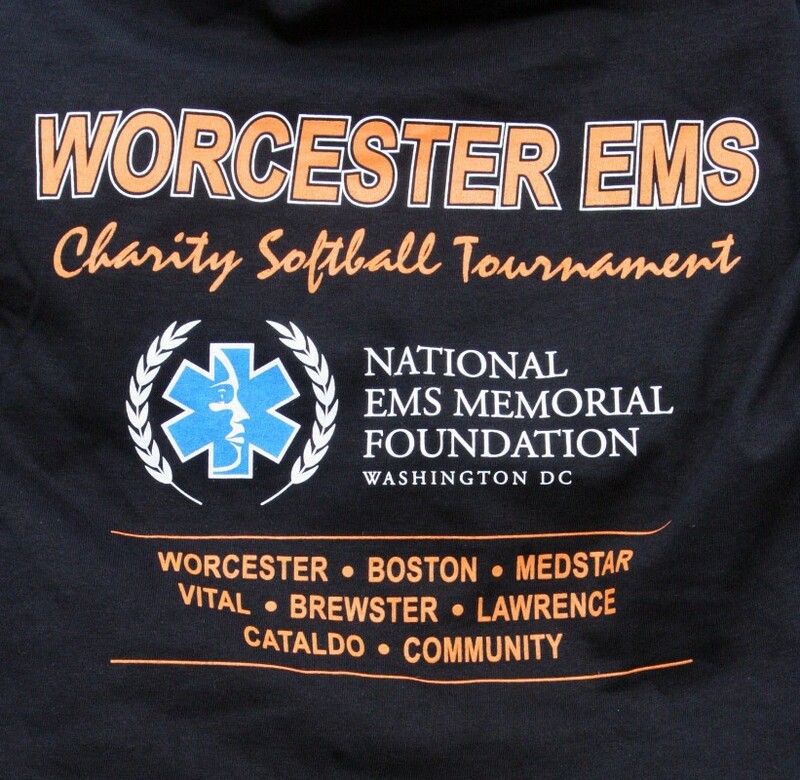 This tournament was a fundraising effort organized in collaboration with Worcester EMS Relief Association, to benefit the National EMS Memorial Foundation. The foundation is working towards the goal of erecting a statue in Washington, D.C. in memory of all fallen EMS providers. Though the weather was cool and windy, eight teams showed up to participate in the double-elimination tournament. Boston EMS, Cataldo Ambulance, Vital EMS, Brewster Ambulance, Community Ambulance, MedStar, and Lawrence General Hospital EMT services joined IAEP members from Worcester EMS to make the tournament a success. All teams played hard, but Vital EMS was the victor. “Worcester EMS did a great job in organizing and hosting this event,” said National IAEP director Phil Petit. “We are pleased to see solidarity among the different EMS groups at events like this,” Petit added. All teams made substantial fundraising efforts, raising well over $2,000. Please check back for the exact total. IAEP/NAGE has generously donated $1,000 to the National EMS Memorial Foundation through Worcester EMS’s fundraiser. Please join us in congratulating Local R1-095 and all EMS professionals who participated in the event on their successful fundraiser as part of the 2016 National EMS week! Are you an IAEP or NAGE EMS member who participated in a National EMS Week 2016 event? Let us know by emailing Communications@nage.org.